Compared to Conrad, Nabokov, and Beckett by Octavio Paz, Argentine-born Hector Bianciotti is one of the leading literary figures in his adopted homeland of France. 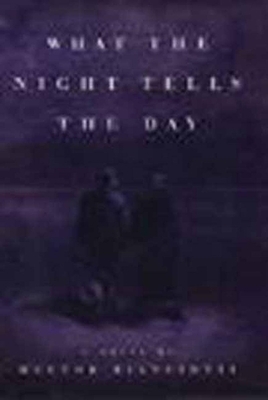 What the Night Tells the Day, his first novel to be translated into English, is the fictionalized story of Bianciotti's youth among poor immigrant peasants in rural Argentina during the late years of the Peron regime, and a moving and sensitive portrayal of a boy's discovery of his own homosexuality. Hector Bianciotti was born in 1930 in Argentina. He left for Europe in 1955 and has lived in Paris since 1961.The author of many books, including the prizewinning Sans la Misericorde du Christ, he is currently the literary correspondent for Le Monde.